You could buy a 50% share of this property for £57,500 through the FairShare shared ownership scheme. See the FairShare illustration below for typical monthly mortgage and rent costs. Larkstone Street has the best of both worlds. It is nicely tucked away, just off the Lisburn Road enjoying a tranquil location whilst also benefiting from the many varied attractions of the busy Lisburn Road and its surrounding area – right there on the doorstep. 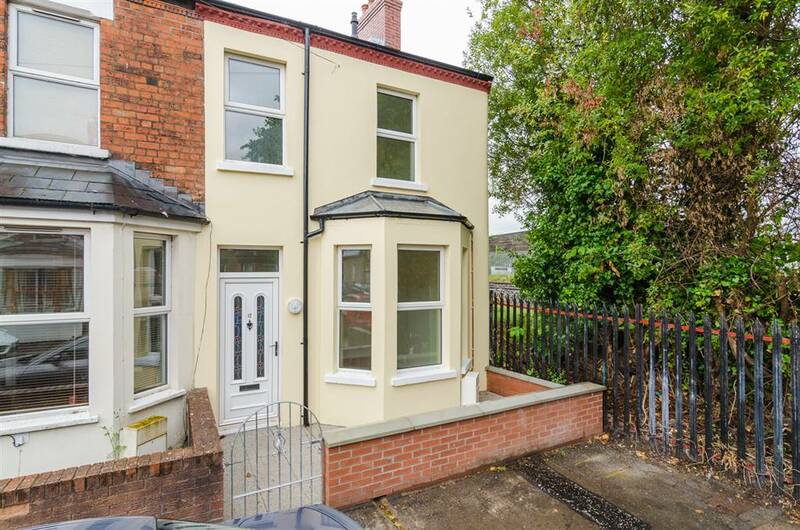 This 2 bedroom end terrace house was recently renovated and upgraded and will not disappoint. With excellent living space, a modern kitchen and two good size bedrooms this home has everything a homeowner, especially a first time buyer, requires. In addition this property benefits from gas fired central heating and double glazed uPVC window frames. Appealing to a broad spectrum of potential purchasers, we encourage early viewing so not to miss out.